The dry salt bed of Kati-Thanda~Lake Eyre shimmers in the desert heat. But far up north, the rains have come. Water is flooding into empty riverbeds and swirling down towards the lake. 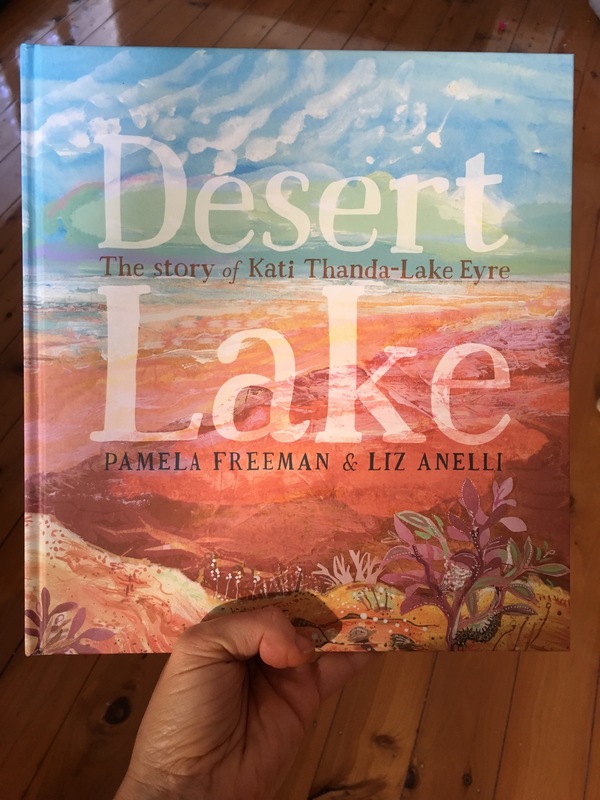 Mesmerising images, lyrical narrative and imagination sparking facts – Desert Lake is a work of art created by Pamela Freeman and Liz Anelli. The story begins in the hot parched desert which looks desolate and barren but as soon as the rains falls and the rivers from up north flow down south we see how amazing the natural world is. 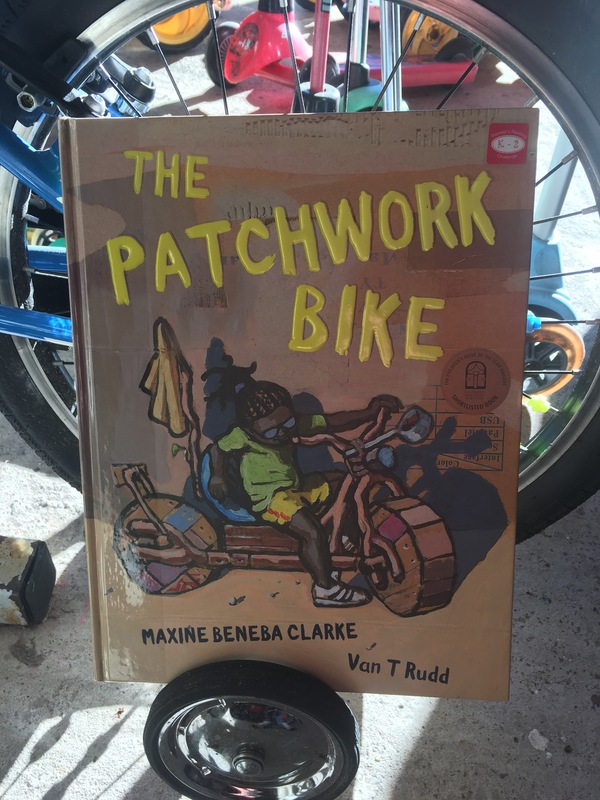 As we read this story we were amazed to find out about frogs eggs that lay dormant for years under the ground waiting for rain and birds that can sense when the lake is in flood from hundreds of kilometres away. 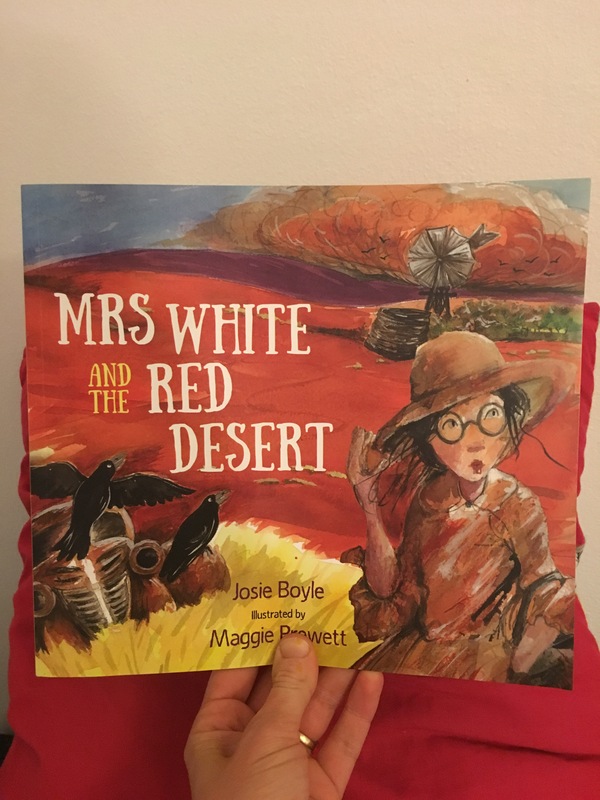 Desert Lake’s illustrator – Liz Anelli has created eye catching illustrations which give more depth to the story through detail and by adding extra images on each page. The natural world is an amazing place and to see something like this happen in person would be a wondrous event. I was lucky enough to visit Kati Thanda-Lake Eyre when it was in flood in 2010 – we couldn’t drive to the lake at the time as many of the roads were damaged from recent flooding but we were able to take a flight from William Creek Hotel. As we flew overhead we saw flocks of birds all over the lake and understood the span of the water as it sat there glistening in the sunlight. Kati-Thanda-Lake Eyre does not receive as much water as it used to largely due to climate change and over use of water from nearby farms. Humans have a great knack at doing things that suit us without thinking of the consequences – perhaps now is the time to start to consider the farming procedures in Australia so that we can perhaps start to farm food that works with our climate – food that needs less water and less pesticides. Take your time to read this book – we have read it over and over and still each time we manage to ask new questions about Kati Thanda. Pull out a map and find out which rivers flow into Kati Thanda. Investigate and find out the type of farming done in the middle of Australia and how the farming might effect the land. How can you save water? List some ways your family can conserve water. How can you look after water? List some ways you can be more mindful of what you put down the drain.